Google has changed Roofing Marketing forever. 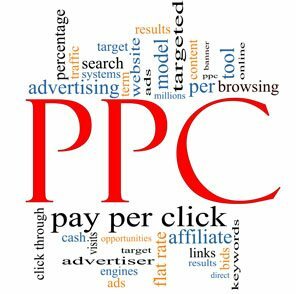 If you are not using roofing Pay Per Click (PPC) advertising for your roofing business you are missing out on a huge amount of potential customers. Your roofing prospects and current customers are using Google, Bing and Yahoo everyday to find EVERYTHING they need. Even older consumers, who tend to be slower adopters of new technology, are utilizing the speed and efficiency of Internet search engines to sift through the information they seek. Optimize your website with the help of a professional Internet marketing technician. Optimization (aka SEO) is the technical process of structuring your website for maximum access and categorization by Google. We can help. Pay Per Click Campaigns – Buy Google keywords that consumers use to find businesses like yours. When your prospects “go to the market”, you want to be there right? Buy the words they use to find you and invite them in to your store (website). We can set up a successful roofing ppc campaign in Google Adwords for you. Google and Yahoo currently reach about 90% of consumers who use a search engine to find businesses. You must have a presence in this space of high quality, low-hanging fruit. Our search engine marketing campaigns efficiently deliver this customer. We have proprietary technology that skillfully targets the best prospects in your market year round. We integrate our online messaging with all our media to generate additional recall and familiarity of your company. Roofing Contractor Marketing offers Pay Per Click advertising campaigns on Google that are customized for your business and your market. Each campaign is designed for your market, your product mix and your company goals. We are not a huge conglomerate cranking out generic Pay Per Click campaigns. We are a highly specialized and experienced roofing marketing company that customizes and monitors each roofing lead campaign to make sure you are getting the maximum result.